It was only in recent history that the central banks of Japan and Switzerland broke the zero-per cent limit on interest rates, a radical move meant help their respective economies stay competitive. However, as is the case for many unconventional solutions, this could lead to serious unintended consequences. “Faced with the option of paying interest on a deposit or an investment in the bond market, it can become more advantageous to hold currency. 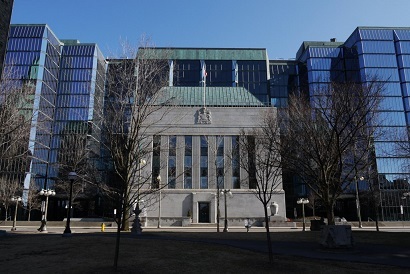 So if a large number of individuals opted for this strategy, the financial system would lack funds to grant credit and monetary policy as we know it would become ineffective at stimulating the economy,” Hendrix Vachon, a senior economist for Desjardins Group, explains in an economic commentary. While Vachon acknowledges that there are disincentives that would dissuade people from keeping cash, such as risk of theft and prohibitive costs of storing large amounts of cash assets, a an increase in the amount of currency in circulation in Japan and Switzerland suggests the beginnings of a displacement to paper money. In the case of Switzerland, the economist points out that previous increases in circulation of the Swiss franc coincided with major events such as the 2008–2009 financial crisis and the European sovereign debt crisis; he asserts there has been no new major crisis since then. The key rates for Switzerland and Japan stand at -0.75% and -0.1%, respectively.